~~ If you’ve tuned in for the Further Adventures of Life in the Dementia Lane, you’ll need to check back next week for details. Just know that a new aide arrived after five days (yes, five) and I am typing this to the sound of a potty-mouthed-goat impressionist bleating obscenities while honing her major league spitting skills. Just about the only incentive I can muster up to carry on is my excitement to vote for Hillary Clinton on November 8. ~~ I thought of my dad Tuesday night as well. 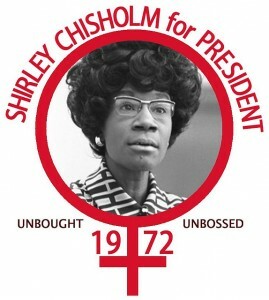 The first presidential candidate I worked for was Shirley Chisholm. 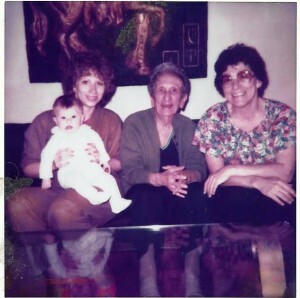 Things were different then. You couldn’t sit in your office and make campaign calls, directed by your computer screen; you needed to go to a mall or supermarket and hand out postcards and pins. When you’re barely in high school, you need a parent to chauffeur you to canvass, so my dad drove me to a Bohacks supermarket. (I’m pretty sure he circled slowly around the area for 30 minutes to make sure that I was OK.) I was broken-hearted when she bowed out of the race, but dad said it was still a winning campaign. She “broke ground” and I “followed [my] heart.” Dad would have beamed hearing Rep. Chisholm lauded 44 years later. 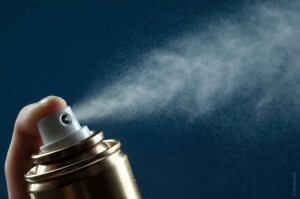 ~~ I shake the hairspray can and hear there’s quite a bit left, but nothing comes out. I clean the spray thingy, I wash the nozzle, I twist and turn, but zip comes out. Defeated, I toss the capless can into the trashcan, spout down, where it commences to spray. I remove it, it stops, so I dump it again. The ssssssssssssssssssssssssss of spray continued for a solid two minutes.